Are public schools important to you? How big of a house do you want? Would you like a yard? How about considering other options such as commuting, shopping, amenities, etc.? Do you want to compare school rankings? Or are you looking for a specific academic, sports, or arts program? What landmarks or interesting places exist in those areas? How urban or suburban are each of these areas? How close are these areas to the new job? Is the Metro (subway) close by? Are there buses going to the nearest Metro stop? Or is it better to drive? It’s easy to find homes for sale by area. But how will you find homes by Fairfax school district? Isn’t finding homes what real estate agents are for? Real estate agents can help you find your dream home, but it’s best for you to know what your dream home looks like and where it needs to be so that you can communicate it clearly. Ellen was being transferred to Fairfax Virginia. Ellen had to organize the move for her family. First, she identified the characteristics of her dream home: Three bedrooms, two baths and a large yard. It had to be in a good school district and at most within 45 minutes from work. Next, she looked into school options and realized that most Fairfax County Public Schools were highly ranked – so she focused on finding schools which offered a French-language immersion program. The schools that met her criteria were in 3 distinct areas. She researched those areas and found one that she liked the most because of its proximity to public transportation. And so, she narrowed down her search to one Fairfax school district. Finally, she was ready to find homes for sale in her desired Fairfax school district. And you will succeed in solving your own relocation puzzle. 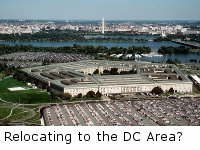 Read the next article and learn Why move to Fairfax County VA?